As part of the Cairo Opera House's Summer Festival, independent local band Black Theama will perform for a Cairo audience on Thursday. The concert that will take place at the opera house’s open air theatre, one of the venues hosting musicians during the summer festival. 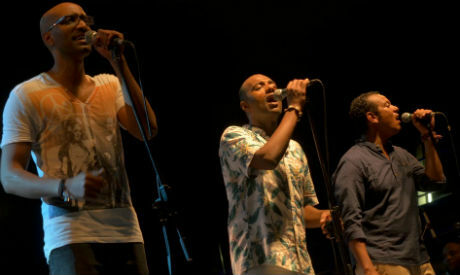 Founded in 2004, the three-member strong band mixes African musical influences with Nubian rhythms, reggae, hip-hop, and R&B. Since its launch, the band has released a total of over 50 songs and in 2013 they were nominated to several awards at the World Music Awards, for Best Group, Best Live Act, Best Song, and Best Video Clip for the song Fi Belad Al-ayy Haga (released in June 2013).